McKinney’s Master Thoroughfare Plan: What is it? 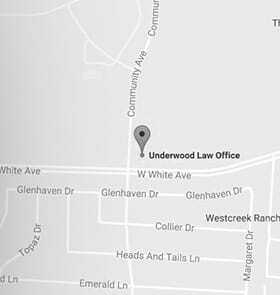 You are here:Home>Texas Car Accident Lawyer>McKinney’s Master Thoroughfare Plan: What is it? Increased Texas car accidents can be a serious downside in rapid urban growth. Sometimes, a city’s roads and infrastructure just can’t handle it. Additional, car accidents will occur. In Charleston, South Carolina, for instance, after Boeing and Chrysler Daimler set up shop, thousands of people flocked to the area. While the population of the city (and neighboring cities) grew, the roads did not, resulting in frequent accidents. As of November 2017, the state had 870 fatalities in car accidents. With these cautionary tales in mind, McKinney, Texas, has developed a “Master Thoroughfare Plan“-a long-term strategy for accommodating car traffic. In a two-part post, we’ll discuss what this plan entails and then explore potential hidden risks the plan may pose to drivers by increasing the number of car accidents. First of all, what’s the need? Why is this happening in the first place? According to Dallas News, here’s the core issue: “Collin County is expected to double in population before 2030 and surpass the populations in Dallas and Tarrant counties with a population of more than 3.5 million by 2050. McKinney’s population of more than 168,000 is anticipated to increase nearly 70 percent by 2040. Congestion on the county’s major roadways will only get worse.” Traffic accidents will certainly follow the increased congestion. The plan’s basic idea is that, based on the city’s anticipated population and related traffic increases, there should be a defined network of roads (new and existing) able to handle the influx of people. And, of course, the plan comes up with ways to adjust this network, to minimize traffic congestion and prevent traffic accidents. The blueprint specifies where roadways should be placed as well as the types that are needed at each location. Fair enough. However, it doesn’t clarify how much time the whole process will take, nor does it offer any direction (as of yet) on the timing of road construction. The Master Thoroughfare Plan is updated annually. This allows for the most current data possible to be gathered and used to assess which updates will be implemented and which will not. There are “major updates” that are done less frequently and become part of the overall Comprehensive Plan.